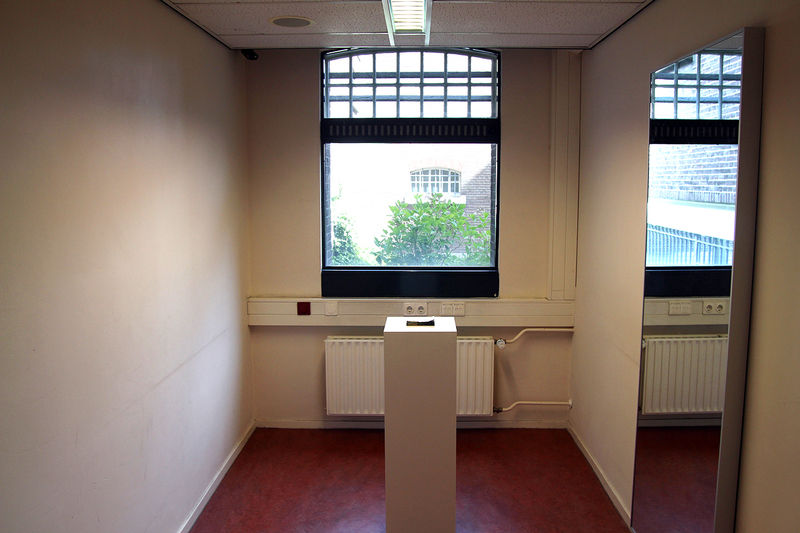 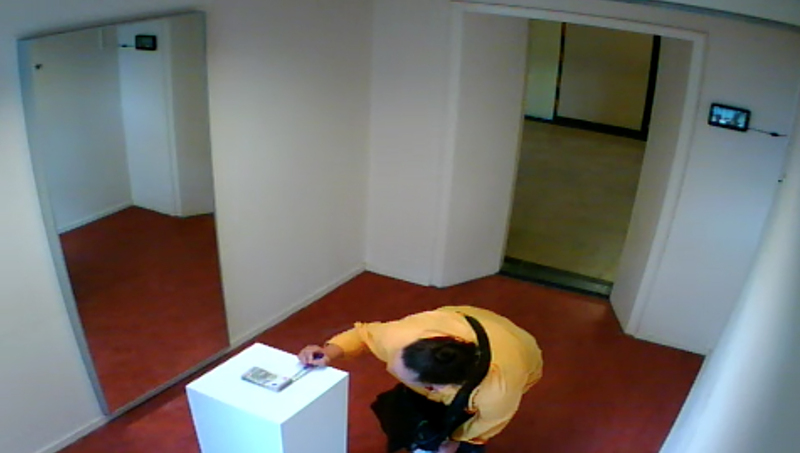 During an exposition in a former jail (titled Control), one of the cells is arranged with a pedestal, a mirror, a camera and a small screen. 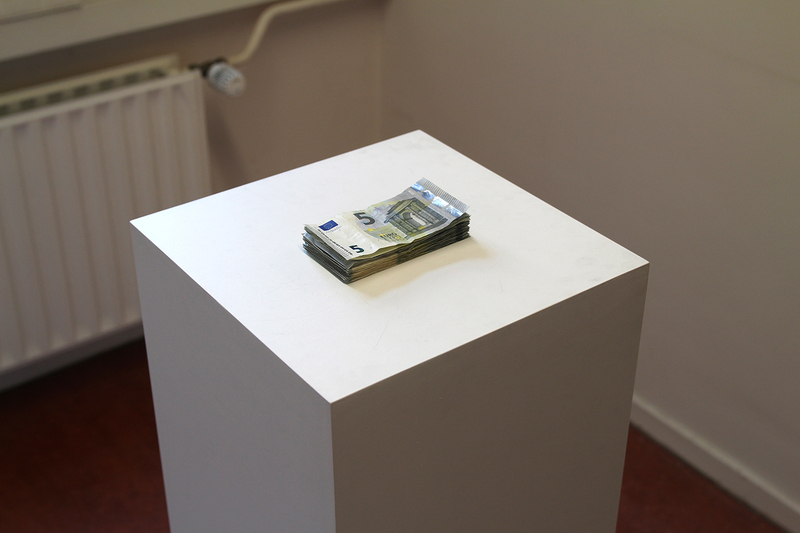 There is a small stack of money on the pedestal. 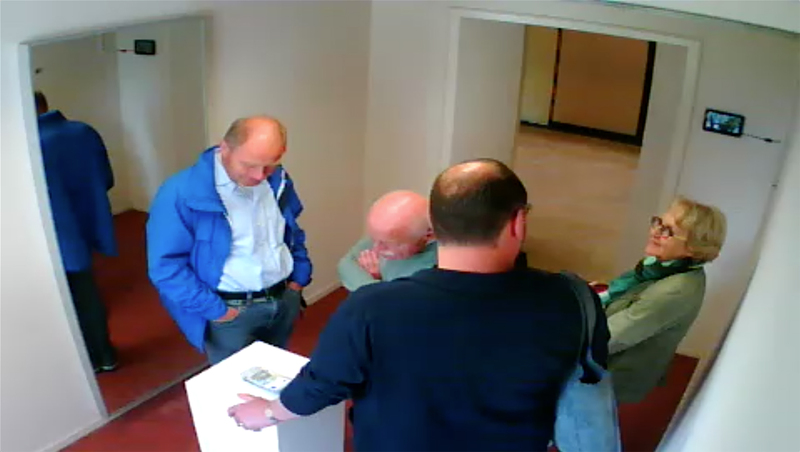 Visitors are faced with the choice to take the money or leave it. 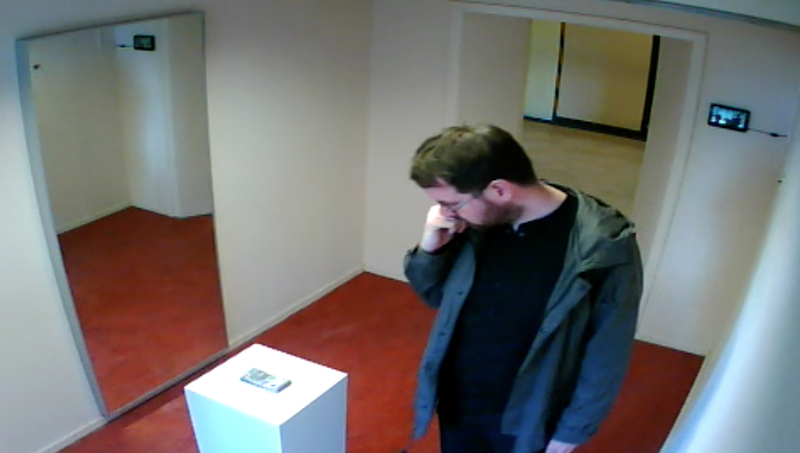 Materials: wood, money, mirror, camera, small screen. 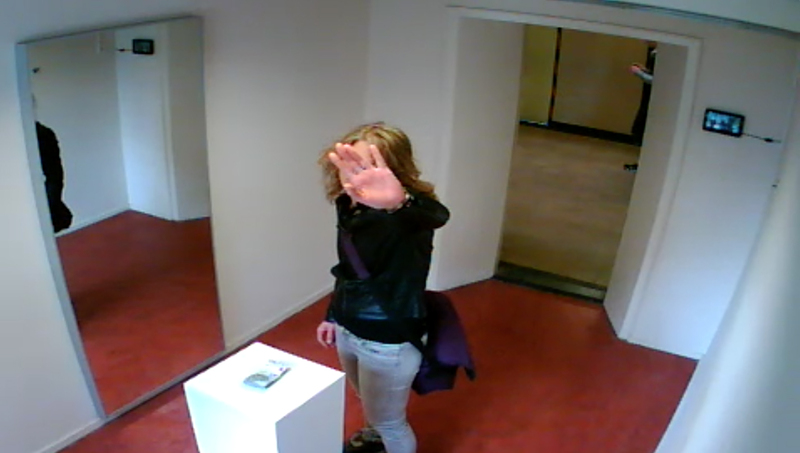 © 2015 Marcel Brosens | All Rights Reserved.